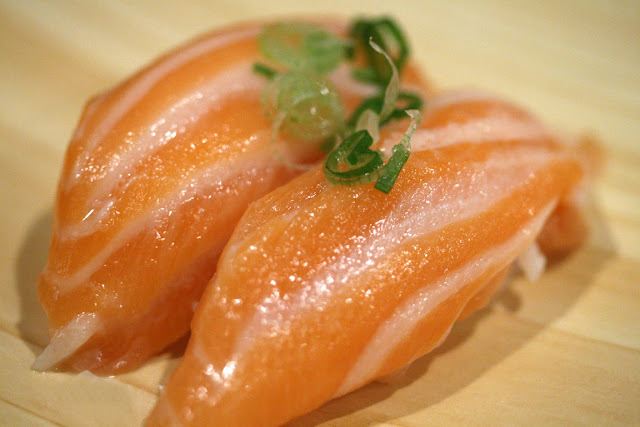 Revolving Sushi Bar@Little Tokyo. 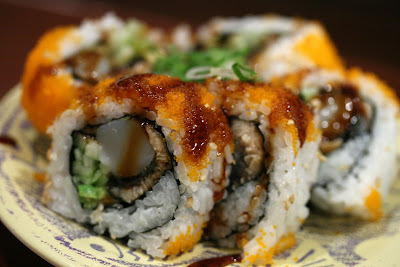 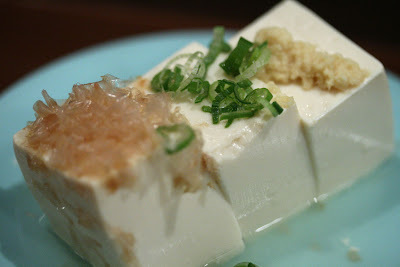 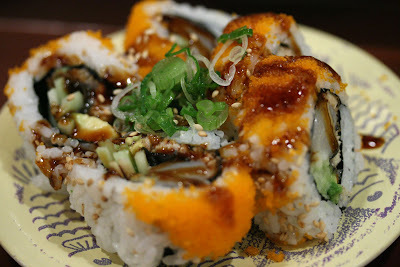 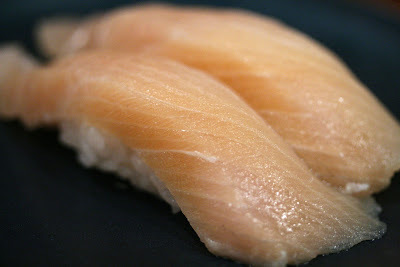 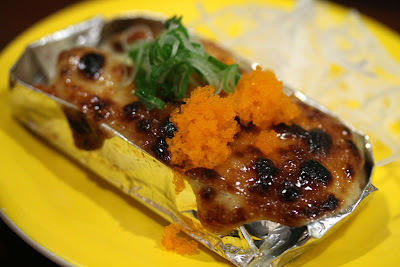 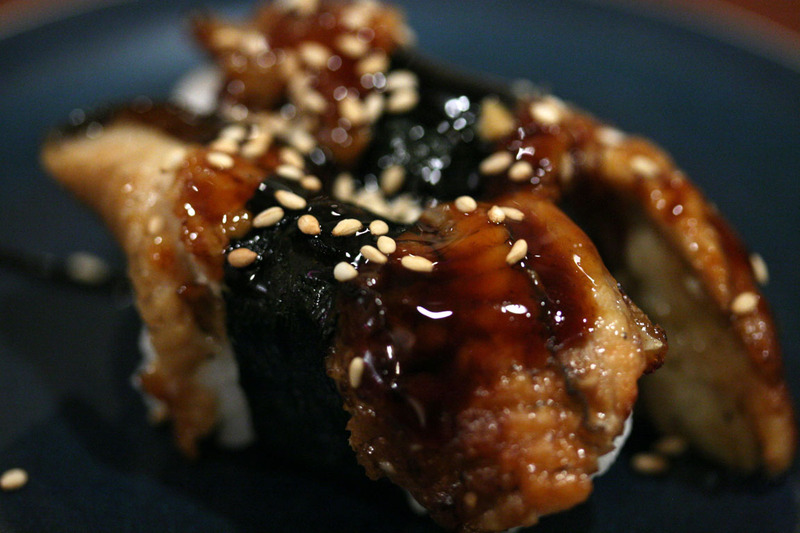 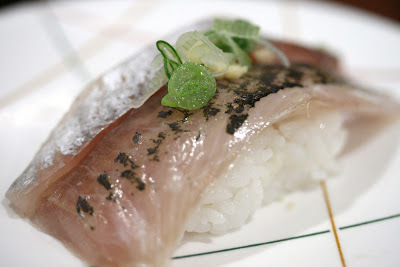 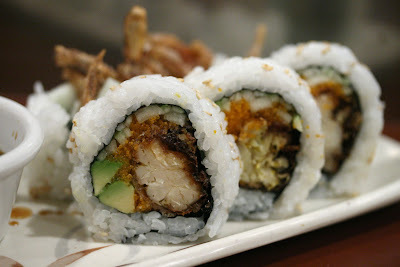 Higher price than Gatten Sushi@Monterey Park but with better quality. 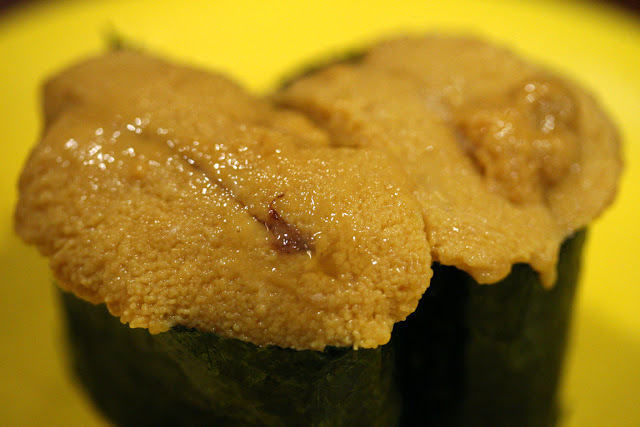 The Uni from both restaurants are both $5, and Frying Fish is much better. 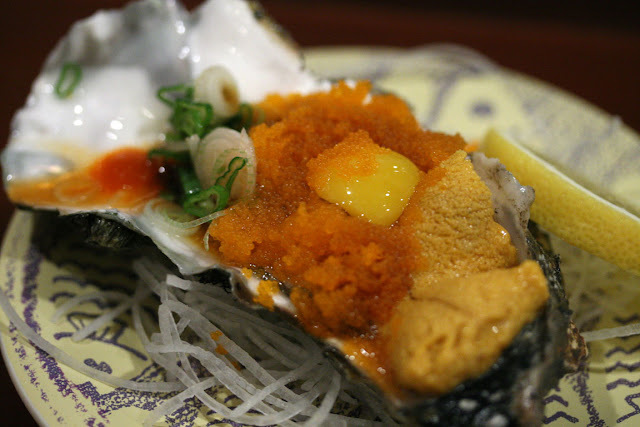 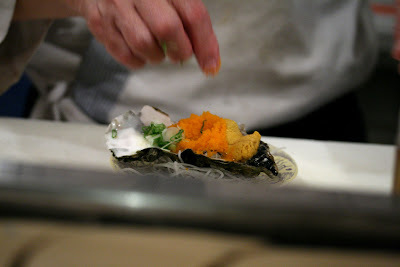 The Honeymoon Oyster with Uni, Masago, and Quail Egg is definitely a must-try.